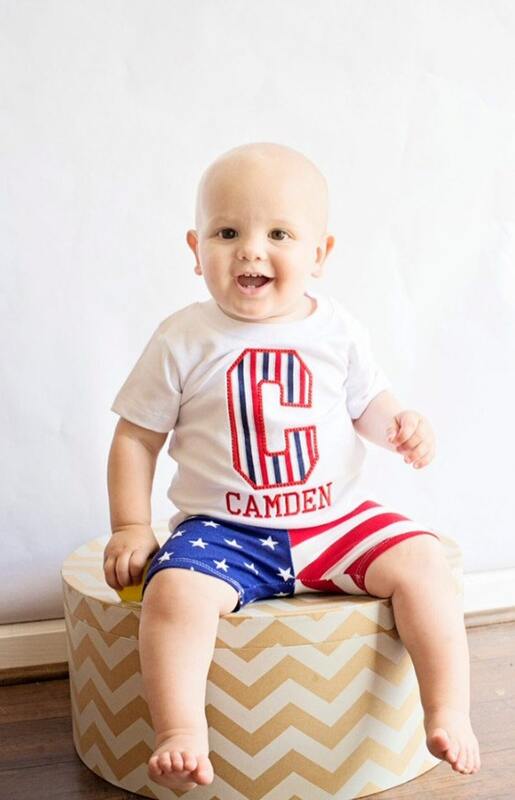 An adorable monogrammed shirt or bodysuit! 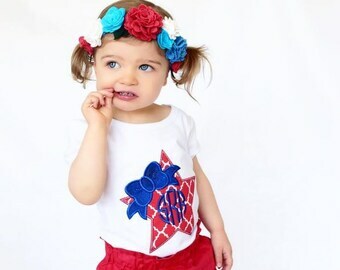 Perfect for a patriotic, little American! 3, 6, 9, 12, 18, and 24 month. Matching pieces: burp cloths, bows, bloomers and bibs are available. Please convo us if interested! Thanks for taking a peek into Gentry's Closet! Love it!! So cute & well made! !